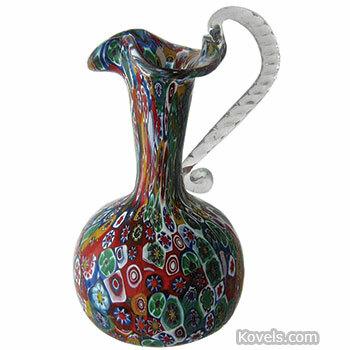 Millefiori means, literally, a thousand flowers. 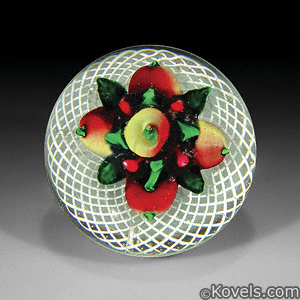 Many small pieces of glass resembling flowers are grouped together to form a design. 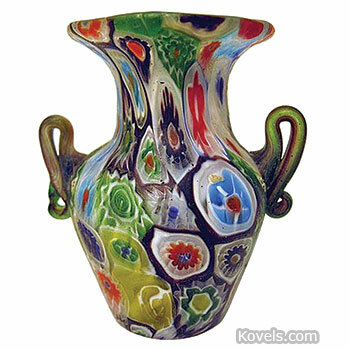 Millefiori first appeared in the dictionary in 1849, but was often made before it was known by that name. 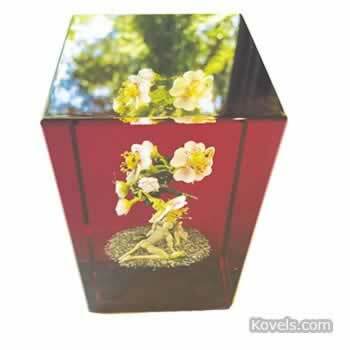 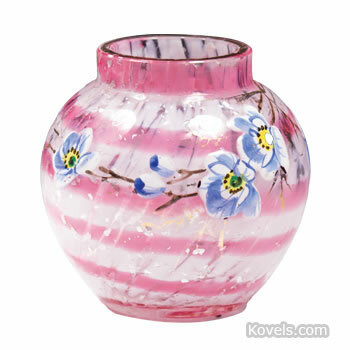 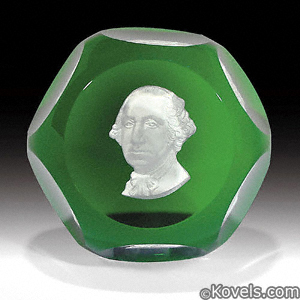 It is a type of glasswork popular in paperweights and some are listed in that category.